There’s something about the winter in Central Oregon. You can’t help but be in a good mood out here in the high desert. The two-lane highways that lead into this part of Oregon make you slow down and take it all in — the snow on the peaks of Mt. Bachelor, Broken Top and the Three Sisters; the dark, winding waters of the Deschutes River; sunshine on the spires of Smith Rock; and the friendly small towns that make you linger far longer than you’d planned to. Plot your Central Oregon road trip for the best in outdoor recreation, beer tasting and browsing in these small Western towns. Follow the Oregon Mural Trail to Crooked River Brewing in Prineville. 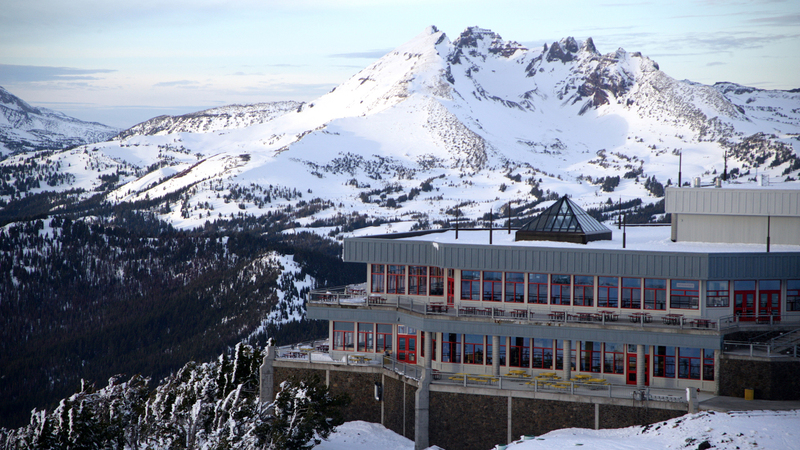 A road trip to Bend has plenty on offer this winter season. Take a historic tour of town via bike, e-cruiser or cycle pub with The Bend Tour Company. Browse the work of local artists at The Workhouse open studio in the Old Ironworks District. Head up to the mountains for some fast track Nordic fun at Mt. Bachelor Ski Area. And check out the permanent exhibits (and animals!) at the High Desert Museum. Iconic winter hikes include Benham Falls along the Deschutes River Trail, Pilot Butte State Scenic Viewpoint and the sometime snowy Tumalo Falls. For a sky-high adventure, consider a helicopter ride over Central Oregon’s iconic mountains with Big Mountain Heli Tours. In the town of Sisters, browse small downtown storefronts like Clearwater Gallery, Paulina Springs Books and Three Creeks Brewing. The Western-style town is a stone’s throw away from Hoodoo Ski Area, where the Autobahn Tubing Park will bring out the child in anyone. Sisters also makes a great jumping-off point for snowshoeing, with 14 miles of trail accessed from Upper Three Creeks Sno-Park. Off-the-beaten track Prineville is beautiful any time of year. 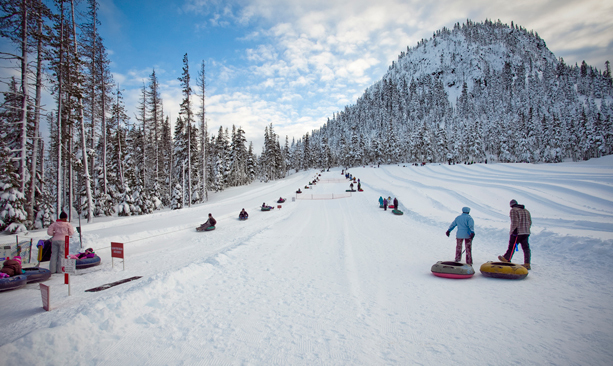 In winter, pick from dozens of cross-country ski and snowshoeing trails in the Ochoco National Forest along with sledding and tubing at local sno parks. Stop in for a pint of Central Oregon’s signature craft beer at Ochoco Brewing. 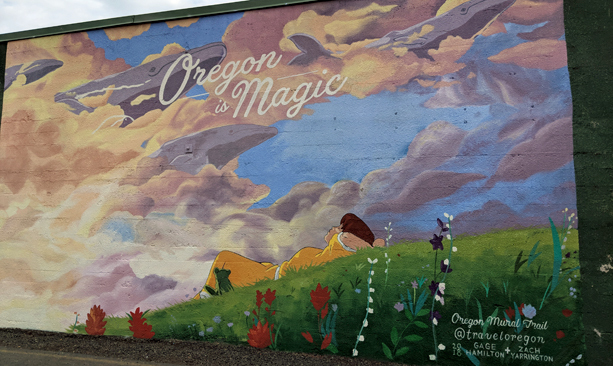 Then check out the latest Oregon Mural Trail addition at Crooked River Brewing. 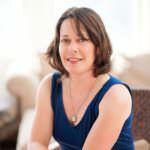 Discover an antique lover’s paradise in Redmond at Beyond the Ranch Antiques, Redmond Antique Mall and other gems. Redmond is also home to a surprisingly international food scene with Oishi Japanese Restaurant, Diego’s Spirited Kitchen and a budding food cart scene outside of Wild Ride Brewing. Madras is near Lake Billy Chinook, the centerpiece of Cove Palisades State Park, featuring 10 miles of hiking trails to observe wildlife and take in breathtaking scenery. Stay the night in a deluxe lakeshore log cabin. For indoor pursuits, Madras’ Erickson Aircraft Collection boasts a rare collection of World War II aircraft, many restored to flying condition. Cap off a winter adventure with spirits from New Basin Distilling Company. Ghost towns aren’t always spooky — but you can decide for yourself with a visit to Shaniko, the former “Wool Capital of the World.” Nowadays visitors can peruse the weathered remains of a historic hotel, a jail and a schoolhouse. It’s all part of Central Oregon’s old-school charms. 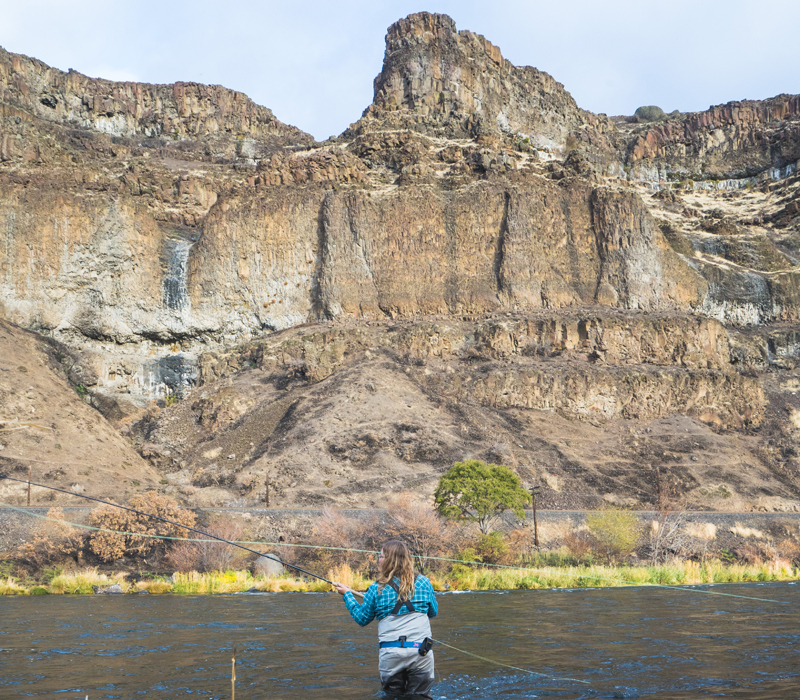 Fish for steelhead, bass and trout along the Lower Deschutes River near Maupin. 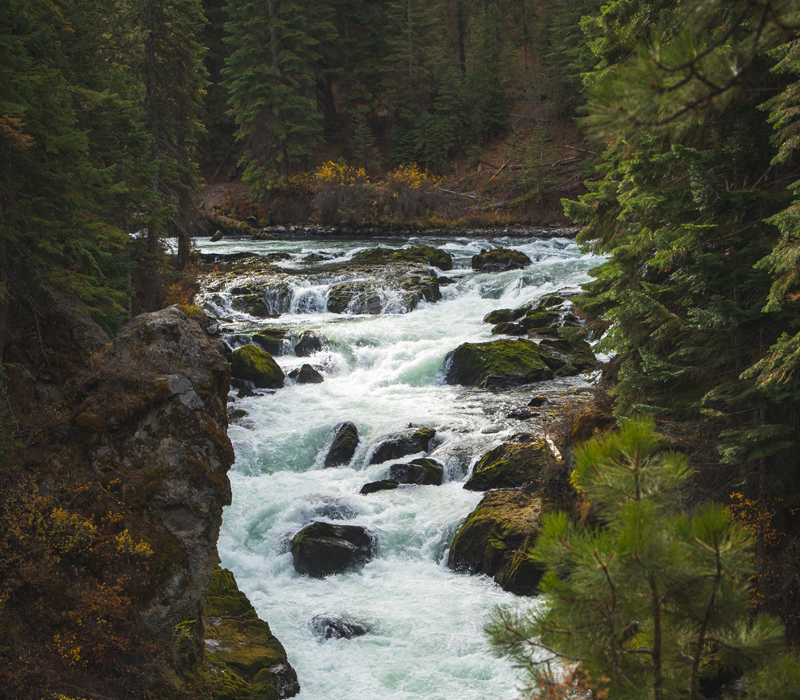 Hit the 1.2-mile there-and-back trail to Benham Falls along the Deschutes River. The town of Maupin is known for its easy access to the Lower Deschutes River, where in spring and summer rafters hit the rapids and fly fishers chase the famed salmonfly hatch. Come winter, the weather is wetter and the peak-season crowds are long gone — and for many this is prime time to cast a line for steelhead and trout. Join a guide like Little Creek Outfitters to find your new favorite fishing spot. La Pine is a jewel of Central Oregon at the gateway to the Newberry National Volcanic Monument. 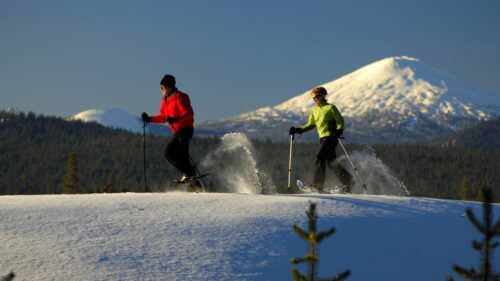 In winter two nearby sno-parks attract Nordic skiers, snowshoers and snowmobilers: 6 Mile and 10 Mile. To see an icy waterfall, take the trail at 10 Mile to Paulina Creek Falls; stay toasty with at the entrance’s warming hut or at Paulina Lodge along the way. 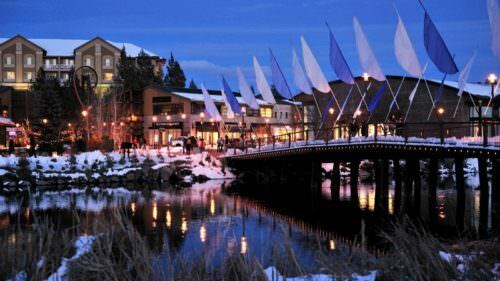 A longtime favorite vacation destination, Sunriver is a resort community located in a pine forest along the Deschutes River. The town’s close proximity to Bend, Mt. Bachelor and Newberry Crater makes it easy to adventure. 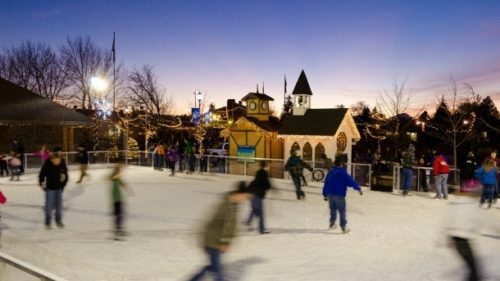 Not that you have to explore far — the Sunriver Village has ice skating, an alpine train, the SHARC winter tubing hill and plenty of beer to cheers.